Why Does Anyone Think That Raising Full Retirement Age Would Be Acceptable To Americans? What's Going On With The Saul Nomination? On April 13 President Trump nominated Andrew Saul to become Commissioner of Social Security. The average time for the Senate to clear Trump's nominations has been 85 days. It's already been almost that long but no hearing has been scheduled on the Saul nomination. I have to note a couple of things before we start speculating too much about the fate of the Saul nomination. The President nominated Charles Rettig to become Commissioner of the IRS on January 24. There was no hearing on that nomination until June 28. The other thing is that Saul actually received two nominations. One is for the current term of Social Security Commissioner which expires in January 2019. The other nomination is for a full six year term as Commissioner beginning in January 2019. Don't they have to wait until closer to the start date for the term to vote on confirming him to that six year term? What determines that? Statute? Senate rules? Tradition? The Senate Finance Committee may just be waiting until it can take up both of Saul's nominations. I've been giving thought to the recent Supreme Court opinion in Lucia v. SEC, which held that Administrative Law Judges (ALJs) at the Securities and Exchange Commission were unconstitutionally appointed. I keep coming back to a couple of questions. Why does Social Security want to keep a record of the cases pending administratively in which the claimant has objected to the ALJ on Lucia grounds? Why hasn't Social Security tried to limit the scope of its potential Lucia problem by having the Acting Commissioner appoint each of its ALJs and ratifying their actions? What can the agency do with records of Lucia objections? 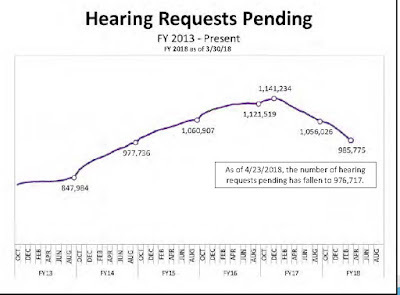 The only thing I can come up with is that the agency is considering making an issue preclusion argument, i.e., that a claimant can't get a new hearing on Lucia grounds unless they made an objection while the case was pending administratively. I don't think an issue preclusion argument would work for a couple of reasons. First, the Supreme Court decided in Sims v. Apfel that issue preclusion generally doesn't apply in the Social Security context. Second, this would be a weird context to apply issue preclusion because Social Security has announced publicly that neither the ALJs nor the Appeals Council will consider Lucia arguments. If the agency isn't interested in making issue preclusion arguments, what are they up to? Is the point that even though the issue preclusion argument won't work that it might buy time for the agency? The question of why Social Security hasn't tried to mitigate its Lucia problem by having the Acting Commissioner appoint each of the ALJs may take us to a darker place. The issue in Lucia was that the appointments clause of the Constitution requires that "inferior officers" be appointed either by the President or by the head of a department. ALJs have been appointed through a process that hasn't involved the President or the heads of departments. Once the Supreme Court agreed to hear Lucia, the Securities and Exchange Commission and many other agencies that employ ALJs quickly decided to have the heads of the agencies appoint each of their ALJs so that the Lucia problem would be limited to old cases. Social Security didn't do that. It still hasn't done that even in the wake of Lucia. I don't know Social Security's General Counsel but I'm pretty sure he or she is a competent lawyer so I'm pretty sure that he or she advised the Acting Commissioner to mitigate the problem by appointing each of the agency's ALJs. That hasn't happened. Why? I guess you could blame it on general fecklessness by the Acting Commissioner or, more likely, the White House, since the Acting Commissioner probably deferred to the White House. Alternatively, you could guess that there has been high level consideration of using Lucia as a pretext to replace all of Social Security's ALJs with non-ALJ hearing officers Think Mick Mulvaney, the head of the Office of Management and Budget, who tried to convince Trump that he could attack Social Security disability since it was really welfare, not Social Security. The agency could give each ALJ a notice that he or she is being riffed but that they can keep a job if they'll agree to accept a new, non-ALJ hearing officer position appointed by the Acting Commissioner. The new job would lack the protections of independence afforded ALJs. In the short run, I'd think that most ALJs would have no alternative but to take that offer, even if they immediately started looking for other work. I hate to rattle people's cages but this seems like a possibility. I think it would lead to chaos but the Trump White House isn't big on thinking through the consequences of its decisions. A group of more than one hundred members of Congress have sent the President a letter asking that he stop closing Social Security field offices. If I looked at her other writings I might find that Ms. Bauer has also said "Let them eat cake!" What is it exactly that the Vocational Expert (VE) is supposed to reveal to me? As a general matter, VEs aren't researchers. They don't have research, either published or unpublished, that they have done that they can reveal to me. They're basing their testimony on the Dictionary of Occupational Titles (DOT) and generalized experience. One can ask questions like "Which factories did you visit to observe this job?" but I'm not sure where any answer to that question gets you. More important, concentrating on the issue presented in Biestek is like focusing one's attention on a flea on the back of a buffalo -- while one is being trampled by the buffalo. The enormous issue is the use of the DOT itself. The data in it is more than 40 years old! Everyone knows it's way out of date and quite unreliable yet the Social Security Administration keeps using it as a foundation for disability determination. The DOT isn't the issue presented in Biestek but it's hard to see how the Supreme Court can fail to notice it. How Soon Might We Get A Supreme Court Decison On Whether Social Security's ALJs Are Constitutional? I've been trying to think through the question of how soon the Supreme Court might act on a case presenting the issue of whether Administrative Law Judges (ALJs) at the Social Security Administration, as currently hired, are constitutional. The normal process would be for cases to be filed in District Courts presenting the issue. The District Courts would issue decisions. The parties who lost in District Court would appeal the decisions to the Courts of Appeals. Once a few Courts of Appeals have acted on these cases, there would be a split, that is different Courts coming to different conclusions. The Supreme Court would then grant a writ of certiorari (cert) in one of the cases to resolve the issue. If this process is followed, there probably won't be a Supreme Court opinion on the issue until sometime in 2020. There are some ways this process could be speeded up. While it usually does, the Supreme Court doesn't have to wait until there's a split between different Courts of Appeals. It could take the first case on this issue decided by one of the Courts of Appeals. However, I don't think that would speed up things very much. If these cases proceed in the traditional manner there will be enough of them that this issue will probably come up in several Courts of Appeals around the same time and my guess is that there will quickly be a split. The Supreme Court doesn't have to wait for a decision from a Court of Appeals. It can grant cert directly on a case that has just been decided by a District Court. However, it is exceptionally rare for that to happen. If the Solicitor General, who represents the federal government before the Supreme Court, asks for it, maybe, but this may not be the sort of thing that the current Solicitor General would regard as that urgent. What I really wonder is whether one or more of the Courts of Appeals will raise the issue of Social Security ALJ constitutionality sua sponte, this is, of the Court's own volition, in cases already pending in the Courts of Appeals on other issues, asking the parties to brief the Lucia issue and then deciding it even though the argument had not been presented to the District Court. If that happens, we could see action from the Supreme Court by this time next year. It's certainly unusual for one of the Courts of Appeals to raise an issue sua sponte but this is an exceptional situation. The judges of the Courts of Appeals are well aware of the urgency to get the issue resolved, far more so than Supreme Court justices. At any given time there are probably several hundred Social Security cases pending in the Courts of Appeals. Even if most judges of the Courts of Appeals wouldn't want to take up this issue sua sponte, wouldn't there be enough who would to get this argued and decided in some of the Courts of Appeals by late this year? That's what it would take for the Supreme Court to decide upon the issue next year. Would Social Security's attorneys even object to a Court of Appeals panel wanting to take this issue up sua sponte? They also have an interest in getting this decided soon. This might make for some interesting oral arguments in Social Security cases. One thing to note is that there are few oral arguments in the U.S. Courts of Appeals during the summer. The judges are still working but they hold few oral arguments during the summer. We may not see the sua sponte issue coming up until September. If you've got an oral argument coming up in the next three months in a Court of Appeals in a Social Security case, you'd better be ready in case the question is asked. However, I would note that even if some of the Courts of Appeals take this issue up sua sponte, there may still not be enough time to get this before the Supreme Court in time to get a decision by this time next year. Some of the Courts of Appeals would have to act pretty quickly to get this issue on the Supreme Court's docket in time. Maybe it's just wishful thinking on my part to believe it's possible. The Social Security Administration has issued a revision to the Emergency Message it had released on the Lucia case prior to the Supreme Court's opinion. The revision adds little other than this: "The Office of the General Counsel (OGC), in consultation with the Department of Justice, is reviewing the [Lucia] decision to determine whether, and to what extent, it may affect SSA. We expect to issue additional instructions after OGC completes its review." While most of us didn't think the Supreme Court would really do it, we all knew it was possible. Wouldn't you expect that there would have been some contingency planning? Of course, the White House should have been coordinating such contingency planning across all federal agencies but the current White House seems uninterested in such sort of nuts and bolts governing and is highly preoccupied with other matters. The Office of Management and Budget has concluded its review of regulatory changes proposed by the Social Security Administration titled Revisions to Rules of Conduct and Standards of Responsibility for Appointed Representatives. This is the final review. The agency may now publish this as final regulations. Fresno has the longest backlog of claimants awaiting a hearing on their Social Security disability claim in California. The local paper is noticing. Social Security didn't need me to tell them this. I'm virtually certain their in-house attorneys were saying the same thing. They may have been getting the same advice from the Department of Justice. However, they did nothing. Perhaps the problem was the lack of a proper acting Commissioner. Maybe they asked the President to do something or tell them what to do and he didn't. You may have noticed that the Trump White House isn't a well-oiled governing machine. 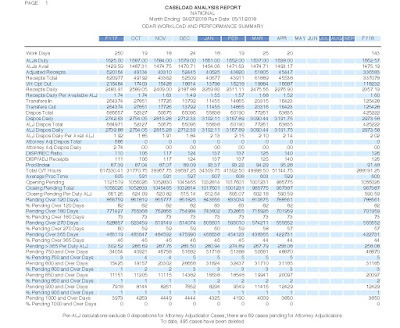 Who knows what happened internally at Social Security? (If you're an insider who knows, I'd be interested in hearing from you.) In any case, they did nothing. How long is it going to take Social Security to respond to the Lucia decision? Will their response just be wishing and hoping that the Supreme Court ultimately draws a distinction between SEC ALJs and SSA ALJs? They might but I wouldn't bet on it. At the absolute least, we need for the President to sign an order appointing each of Social Security's current ALJs and ratifying their actions to this point. We need at least a backup plan for immediately converting Social Security's ALJs to some other job title where they can be fired at will. Perhaps, we need to go to that forthwith. I'd very much prefer to keep independent ALJs who are hired in much the same way as before and who can only be removed with great difficulty but a situation where Social Security has to redo every hearing held over a several year time period while it's in the middle of hiring new people to hold hearings would be an unimaginable catastrophe. Non-ALJ hearing officers wouldn't be the end of the world. By the way, the same problem exists with the Administrative Appeals Judges at the Appeals Council. They're civil service too. Also, this problem won't wait until a new Commissioner is confirmed. I don't know when a confirmation hearing is coming up. I don't know what the chances are that Mr. Saul will be confirmed. There are certainly reasons for Senators of both parties to be concerned about him. This proposal simplifies administration of the Supplemental Security Income (SSI) program and reduces improper payments. The proposal eliminates the counting of In-Kind Support and Maintenance (ISM) in lieu of a flat rate benefit reduction for adults living with other adults. The proposal also ends the intrusive and burdensome “holding out” policy, which currently reduces benefits for couples that present themselves as married to the community. SSA continues to find ways to increase real property efficiency and reduce the size of its real property portfolio. SSA will continue to co-locate offices, consolidate space while merging components, and ensure space savings when implementing telework. Note that none of this other than the "Footprint Reduction" can be implemented without legislation and that's not likely to happen and closing offices is certainly unpopular. So why isn't this being treated by Congress or the public as a scandal ... ? ... [T]here's that little twinge of concern within most of us that injured, working-age non-veterans who ask for government benefit checks might really be trying to pull one over on Uncle Sam. The Supreme Court decision in Lucia v. SEC is out. ALJs, at least at the SEC, have been found unconstitutional. The decision leaves wide open the question of whether Social Security ALJs are constitutional. Social Security is not discussed at all in the opinion. You can find a distinction if you want in the fact that SEC ALJs hear adversary adjudications but I don't know if that's going to be enough. There's going to be an eruption of litigation concerning ALJs at every agency that employs them. Indeed, there will also be litigation over non-ALJ adjudicators across the federal government, including Social Security -- think Administrative Appeals Judges at Social Security's Appeals Council. We might wish that Social Security would defend the constitutionality of its ALJs but that is far from certain. The Trump Administration may have more general aims and Social Security ALJs may get caught in the crossfire. This is a seminal moment in the history of administrative law in this country. $200 for information received after 15 days but within 90 days after confinement. The House Ways and Means Committee will be marking up a very minor Social Security bill tomorrow having to do with the coverage of Indian Tribal Council members. New rules that Facebook has adopted regarding political ad buys have raised concerns within the House Ways and Means Social Security Subcommittee where John Larson is the ranking Democrat. The panel has sent a letter to Facebook CEO Mark Zuckerberg expressing reservations that the social media company plans to collect the last four digits of Social Security numbers of those purchasing political ads on its web platform. We are pleased to announce a new online process for filing a Request for Review of an Administrative Law Judge (ALJ) hearing decision or dismissal (i520). The new online i520 process accepts both medical (disability) and non-medical (non-disability) appeals of an ALJ hearing decision or dismissal. There are many benefits to using the new i520. Requests for review at the Appeals Council can be filed online. The online appeals application is simple, convenient, and secure; it guides claimants and their appointed representatives through every step of the process, including uploading any necessary documentation. The HA-520 and documents are automatically routed to the correct branch in the Office of Appellate Operations, which improves the appeals process. While the preferred method for filing a Request for Review is the new online i520 process, we will continue to accept requests by mail or fax. Please be sure not to submit multiple review requests by filing online and also by mail or fax, as it could delay processing. Additionally, please note that this new online process cannot be used to request an extension of time to file a civil action, Federal court review, or an ALJ decision in a case remanded by a Federal court. We encourage you to share this information with your colleagues. Senator Cory Booker wants to know why it takes so long to get a Social Security hearing. When I started practicing Social Security law in 1979 it took about three months to get a hearing. It's now taking about a year and a half for my clients. It's over a year almost everywhere and around two years in some places. Why? The answer I give my clients is that Social Security isn't given enough money to hire the personnel it would take to do it faster. 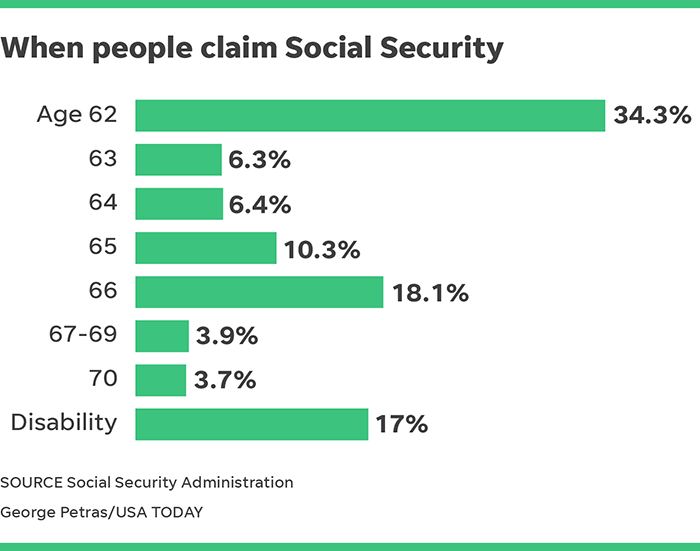 There are things Social Security could do even with its current staffing such as taking its foot off the the brake pedal on senior attorney decisions but anything that would be perceived as helping claimants is out on the question in the current political environment. I've still got the yellowed Social Security card I got when my mother took me to the local Social Security office at age 16 to get a Social Security number. In those days you didn't get a Social Security number or card at birth; only when you needed to get one to take a job. It's a good thing I've not been in the habit of losing my Social Security card because Forbes reports that there's a cap on the number of times you can get a new card without jumping through a lot of hoops. Enforcing President Trump’s crusade against federal labor organizations, his lieutenants at two large agencies have opened new fronts against government unions. Referring to executive orders issued by Trump, a June 5 letter from Social Security to AFGE gives “notice of the Agency’s decision to implement all three Orders effective July 9, 2018,” even as it couches the decision as a proposal. 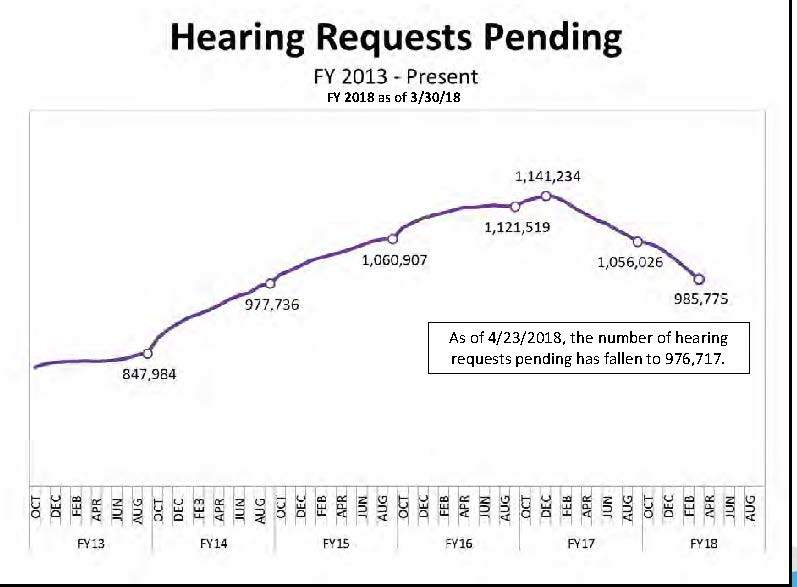 "$100,000,000 shall remain available through September 24, 2020, for activities to address the disability hearings backlog within the Office of Hearings Operations" but any of this not expended by the end of FY 2019 (September 30, 2019) must be spent on IT and telecommunications. This all comes out of the LAE. 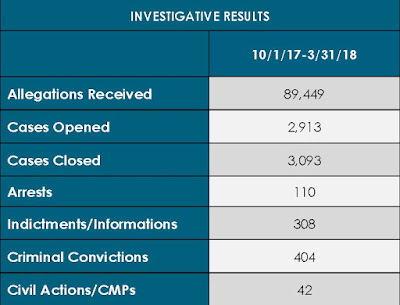 "[N]ot more than $1,683,000,000 to remain available through March 31, 2020, is for the costs associated with continuing disability reviews ... or the cost of co-operative disability investigation units, and for the cost associated with the prosecution of fraud in the programs and operations of the Social Security Administration by Special Assistant United States Attorneys ..." Again, this comes out of the LAE. The LAE proposed is slightly higher than the $12.393 billion proposed by President Trump but still only marginally higher than the figure for the current FY of $12.236 billion. It probably won't be enough to even keep up with inflation. It's less than what Social Security was given in FY 2017, $12.482 billion. ... In accordance with the Privacy Act (5 U.S.C. § 552a) , we are issuing public notice of our intent to establish a new system of records entitled, Social Security Administration Violence Evaluation and Reporting System (SSAvers) (60-039). On April 18, 2012, President Obama issued the memorandum, Establishing Policies for Addressing Domestic Violence in the Federal Workforce, which directed the Office of Personnel Management to issue guidance to all departments and agencies to create policy that addressed domestic violence, sexual assault, and stalking. Because of this guidance, we developed the Workplace and Domestic Violence policy and program. SSR 96-3p: Titles II and XVI: Considering Allegations of Pain and Other Symptoms in Determining Whether a Medically Determinable Impairment is Severe. SSR 96-4p: Titles II and XVI: Symptoms, Medically Determinable Physical and Mental Impairments, and Exertional and Nonexertional Limitations. A Montgomery woman has been indicted on charges that she pocketed at least $680,000 while working as a claims specialist for the Social Security Administration. Officials said Ann Aroste, 42, faces five counts of wire fraud and five counts of aggravated identity theft in connection with five instances between August 2013 and May 2018, according to an indictment filed in federal court Thursday. According to the indictment, Aroste began working for the Social Security Administration in April 2008 as a claims specialist processing and approving applications for social security benefits. Authorities said Aroste used her position to approve fraudulent applications for survivor benefits for people she falsely claimed had been married to deceased workers. Those five fraudulent claims resulted in at least $680,000 being paid by the U.S. Treasury Department to bank accounts Aroste controlled, officials said. Officials said Aroste was arrested Monday morning and pleaded not guilty at an arraignment hearing later Monday afternoon. Each count of wire fraud can carry a sentence of up to 20 years in prison, and each count of aggravated identity theft is punishable by a mandatory two- year prison sentence after a conviction. I assume the Montgomery where this woman lives is in Illinois. The Social Security Administration (SSA) intends to issue a sole source contract with cost reimbursement task orders ... to the National Academy of Sciences (NAS) for a period of 5 years beginning on or around September 30, 2018. The NAS will set up Committees of medical, vocational, and other experts having expertise in fields such as, internal medicine, pediatrics, oncology, otolaryngology, ophthalmology, endocrinology, physical medicine and rehabilitation, occupational therapy, physical therapy, orthopedic surgery, industrial and organizational psychology, psychiatry, developmental-behavioral pediatrics, neurology, cardiology, vocational rehabilitation, health care case management, social sciences, education and health care and workplace economics. The Standing Committee will continue work necessary to maintain an essential capability for theoretical analyses of research, relevant evidence and clinical practices in physical medicine, psychiatry, and rehabilitation medicine. The National Academy of Sciences is not a governmental agency. It's a private non-profit that largely functions as a beltway bandit seeking out this sort of contract. U.S. Rep. French Hill (R-AR) chastised the Social Security Administration (SSA) for reportedly overpaying Social Security Disability Insurance (SSDI) beneficiaries by billions of dollars for several years and then permanently waiving billions more in overpayment debt. And the congressman wants an update. In a May 31 letter sent to SSA Acting Commissioner Nancy Berryhill, Rep. Hill requested that she provide responses to three questions, including the exact totals for what SSA has overpaid to SSDI beneficiaries and for waived overpayment debt from fiscal year (FY) 2014 to the present. I've got a modest proposal. How about no overpayment waivers in Hill's district with Social Security giving out Hill's phone number to his constituents who want an explanation? 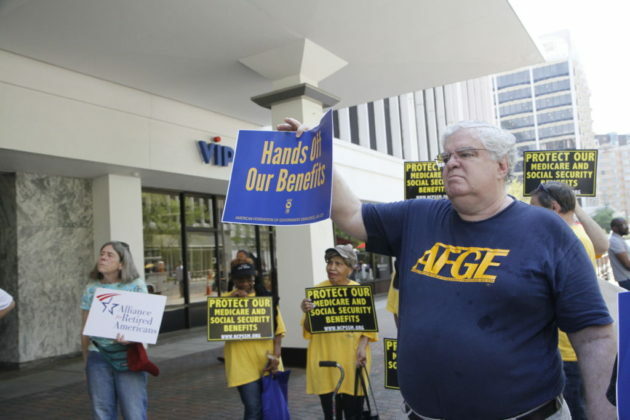 The Arlington, VA Social Security field office is still closing despite Congressional pressure. It's in an area whose population is rapidly increasing. Social Security tried to blame the closing on a lack of rentable office space in the area but local leaders say that's ridiculous. The agency failed to follow its own protocols for closing a field office, blindsiding local leaders. Conn, wearing a green jail jumpsuit, handcuffs and a leg chain, walked slowly into the courtroom. 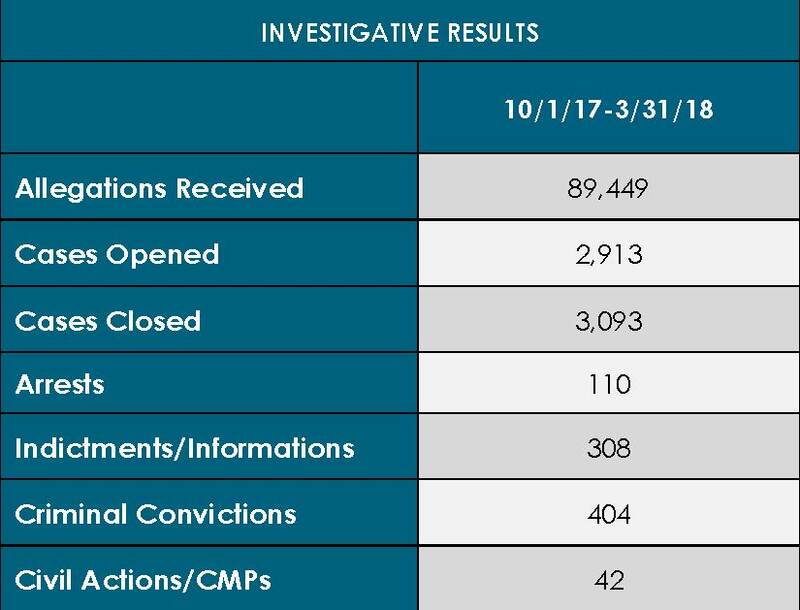 Conn’s hair appeared more gray than when the FBI brought him back to Kentucky in December, and there was no energy in his voice as he answered Reeves’ questions, unlike his firm tone in prior appearances. Conn — 57 by his account, but listed as 58 by the government — fidgeted and appeared to shake during the hearing, and seemed to wince at times. Reeves asked him at one point if he was in distress, and Conn said he was in pain but was okay to continue. Note all the overtime at OHO. The House Social Security Subcommittee has scheduled its annual hearing on the annual report of the Social Security trustees for June 7 at 11:00. Don't expect any surprises either in the report or in the reactions of the members of Congress. SSA [Social Security Administration] attempts to fully and immediately recover an overpayment. If a full refund is not possible, SSA may withhold part or all of the individual’s monthly benefit, or create an installment plan when the individual is no longer receiving benefits. Under an installment plan, the individual agrees to refund the overpayment through monthly payments. SSA negotiates the repayment agreement and establishes the payment’s due date. Is it appropriate for Social Security to be trying to collect 32 year old debts? How many of these debts are similarly ancient? Why is there no statute of limitations? OIG seems unconcerned with the costs of collection. Is it cost effective to use expensive debt collection methods for small debts, especially at a time of staffing shortages? Reading OIG reports you might think Social Security is mainly a debt collection agency. Eric Conn's preposterous little escape to Central America has cost him dearly. His sentence went up from 12 years to 27. By the way, you might wonder what we in the Social Security bar thought about Conn back when he was practicing. The thing is that no one seemed to know the guy. When he got in trouble there were a lot of Social Security attorneys asking "Who's he?" The attorneys with larger practices mostly know or know of each other but not Conn. He was off on his own island. Everybody's reaction was "Why would you do that? Keep your nose clean and do your job and you can make a living and sleep at night." If you're trying to make a fortune practicing law, you've chosen the wrong career.